Scroll down to find out more about conditions, facilities, costs, and information about making a reservation for a bed or a room. Click HERE for camino planning tools to help you with actually planning and booking your accommodation along the Way. 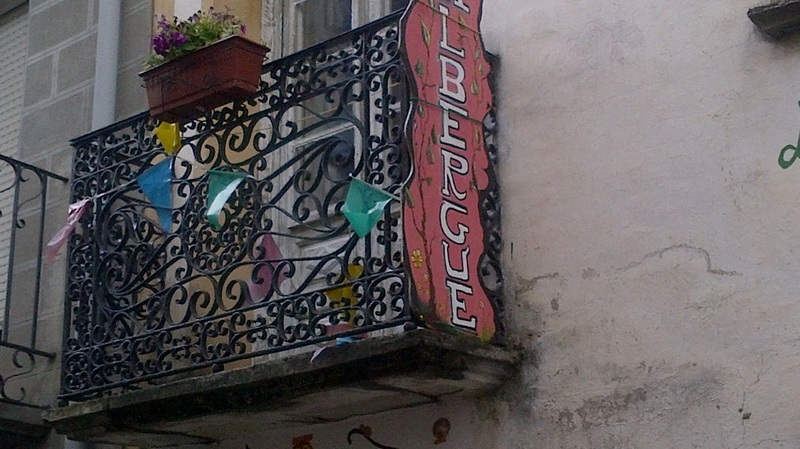 There are three types of albergue; municipal, associated and private. The municipal albergues are supported by the government and are run by volunteers. These places ask for a small fee for a bed. Associated albergues tend to be sponsored by religious institutions like the church, or by pilgrim groups located in different countries around the world. They ask for a nominal fee or in some cases, a donation. Associated albergues are also run by volunteers. 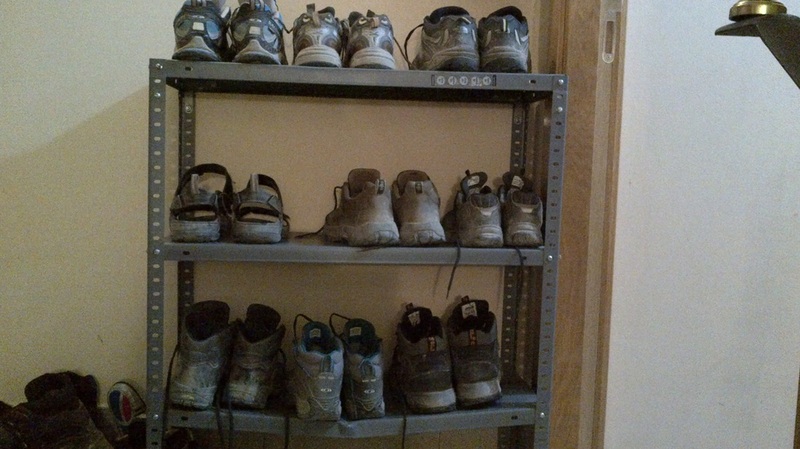 Private albergues tend to be set up by individuals who feel a need to give back to the camino. Most of these people have walked the camino at one time or another and run the place themselves with the assistance of family members. Private albergues in general cost a little more than the municipal or associated, and their prices do vary. Albergues cater only for the pilgrim, and generally consist of rooms in which there are a large number of single beds or bunk-beds. Men and women share the same sleeping and bathroom facilities. It is only in one or two albergues that men and women are separated. The quality and cleanliness of these dwellings vary from place to place. There is usually hot water available, though not all are well-heated during cooler seasons. Some have cooking facilities. Municipal and some associated albergues cater to a huge number of pilgrims, and in the busy periods when there are not enough beds, municipal volunteers open up town halls, schools or even barns in order to make sure tired pilgrims have somewhere to sleep for the night. The municipal and associated albergues are run by volunteers in a sometimes strict and orderly fashion, though levels of cleanliness vary. In some places as pilgrims arrive, clean sheets and pillow cases are handed out to them as their beds are allocated. In others, sheets are already on the beds, and they don't look too hygienic after numerous pilgrims have slept on them. Single blankets are also provided, but they are not always immaculate after continuous use. Bathroom facilities are not always great, as some albergues allocate one bathroom per large numbers of people. Since the buildings that are used to house pilgrims are usually converted barns, schools or hospitals, the buildings are old and not particularly well-maintained. They are usually cold, even when the heating is on. Municipals and some associated albergues have cooking facilities, washer/dryers and most have internet services. They do not always have WiFi. Some of the associated albergues will provide an evening meal and breakfast as part of the accommodation package, all for a donation. The private albergues provide dormitories with single beds and bunk-beds, but many also have options for single and double rooms. Obviously these rooms cost more, but they provide some privacy for pilgrims who prefer this type of accommodation. Some are very up-market in their standards, with lovely bathroom facilities and beautiful clean dorm rooms. Beds (even the bunks) are sometimes made up like hotel beds and changed every time a new pilgrim arrives. They sometimes have cooking facilities and an option for breakfast the following morning. The dorms do not cost a lot more than the usual pilgrim prices, though the single and doubles rooms may have a considerably higher fee. The average private albergue will vary in its cleanliness levels. A lot will allocate clean sheets and a pillow case, but some do not. Blankets are always used by many pilgrims. A lot of albergues will have washer/dryer facilities or they will at least have someone who will do your washing for you (for a fee). Depending on which private albergue you are staying at, they will either not have breakfast options at all, or they will give you the choice to stay for breakfast, or breakfast will be included in the fee whether you want it or not. Hostals along the camino route are rather like 2- or 3-Star hotels, though without the frills that go with them. Accommodation for a single person consists of a private room with en-suite bathroom. There is no room-service and neither is there tea- or coffee-making facilities in the room. They always have hot water for showering and they provide the basics in terms of sachets of shampoo and hotel-sized bars of soap. You won't need your sleeping bag, as they provide full bedding. Some hostals call themselves hotels, and because of their up-market facilities and decor, get away with it. These are a pleasure to stay in. Others go simply by the name, and do not resemble hotels in any way. So don't be fooled by a hostal's name if you are looking to stay in a real hotel; check it out first. The hostals rarely have kitchen facilities for pilgrims, but some provide an evening pilgrim's menu and breakfast options for a fee. Sometimes breakfast is included in the room tariff, so it is wise to check beforehand. Cleanliness levels vary, but bedding is clean, having been changed for every new room occupant. Real hotels are not in great supply along the camino trails although some hostals will call themselves hotels. The larger 3-, 4-, and 5-Star hotels can be found in the towns and cities along the route. These have all the usual practical facilities that hotels are famous for. Pilgrim rates only apply for ONE night at any given destination, since the camino is about a pilgrimage that is honoured by accommodation owners. It is not considered to be a cheap holiday route for walking tourists, and so to qualify for a pilgrim rate, you will have to produce your pilgrim's passport on arrival. In hostals and hotels, they may relax these rules slightly because their rates are much higher anyway, but some do stick to the one-night-only rule. If you want to stay longer, you may be charged a slightly higher fee on other nights. These places can charge anywhere between 10 and 15 Euros, sometimes with breakfast included. Evening meals (if provided) are optional and you will be charged an extra fee. Anywhere between 25 and 45 Euros per night for a double room. There are some places that either do not have single rooms, or they do not have any available. In these cases, you may have to pay for the double. In other instances,though not often, the hostal owners will only charge you for a single bed. Hotels are usually expensive by comparison, but sometimes along the camino route you can find a 3-Star that will charge something similar to the hostal fees. Usually though, because they are catering to tourist pilgrims and general holiday-makers, hotels start at around 50 Euros in the smaller camino towns and rise sharply in the cities. You may find the fees considerably higher in the busy periods. Municipal and associated albergues do not take reservations, but often the private albergues will. In the busy periods, the private albergues may only allow reservations for single or double rooms, and keep the dorms operating on a 'first-come first-served' basis. Where they do take bookings, they will take your phone number and call you if you are late. They will expect you to arrive by 4 or 5 pm, and if you do not, may give your room away. If you pay in advance, you can arrive later, but make sure you do it before they lock up and go to bed! Hostals and hotels take reservations, but you will have to arrive by about 4 or 5 pm in case they give the room away (unless you have paid in advance). In the hostals, even if you have paid in advance, you will have to arrive at a reasonable time because the hostal owners do not always stay on the premises and may leave and lock up for the night.